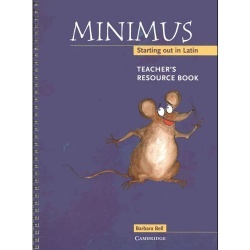 Minimus is a unique Latin course aimed at younger children. 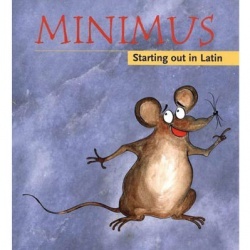 It features a real family who lived at Vindolanda in 100AD: Flavius, the fort commander, his wife Lepidina, their three children, assorted household slaves, their cat Vibrissa - and Minimus the mouse! Minimus - Starting Out in Latin: Pupil's Book offers a lively, colourful introduction to the Latin language and the culture of Roman Britain for ages 7 - 10. A fun way to teach English grammar, it is ideal for cross-curricular activities. 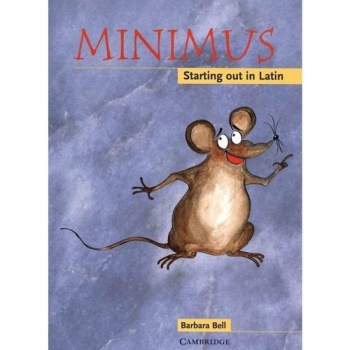 Minimus - Starting out in Latin is aimed at 7-10 year olds (Key Stage 2). A Teacher's book and audio CD are available separately. This is the best language course book I have ever come across in over 20 years of teaching. It is clear, simple to use and the children love it! I cannot recommend it highly enough.